Mark Steyn: Enemy of the State? The Steyn hearing proceeded with all the marsupial ungainliness of a kangaroo court. At its best, Western Civilization has fostered freedom of speech and of thought. But Canada has a better idea. #ad#The piece was obviously within respectable journalistic bounds. In fact, combining hilarity and profound social analysis, the article could be considered a sparkling model of the polemical art — not surprisingly, given that Steyn is one of North America’s journalistic gems. The Canadian Islamic Congress took offense. In the normal course of things, that would mean speaking or writing to counter Steyn. Not in 21st-century Canada, where the old liberal rallying cry “I hate what you say, but will fight for your right to say it” no longer applies. The country is dotted with human-rights commissions. At first, they typically heard discrimination suits against businesses. But since that didn’t create much work, the commissions branched out into policing “hate” speech. Initially, they targeted neo-Nazis; then religious figures for their condemnations of homosexuality; and now Maclean’s and Steyn. The national commission has never found anyone innocent in 31 years. It is set up for classic Alice-in-Wonderland “verdict first, trial later” justice. Canada’s Human Rights Act defines hate speech as speech “likely to expose a person or persons to hatred or contempt.” The language is so capacious and vague that to be accused is tantamount to being found guilty. The hearing has appropriately exposed the commissions to ridicule — and maybe some hatred and contempt (if that’s allowed). There are calls to strip them of their power to regulate the media. This would limit the damage, even as free speech is endangered elsewhere. In Europe, saying the wrong thing about gays or Muslims is routinely sanctioned by the state. In France, the bombshell-turned-animal-rights-activist Brigitte Bardot just collected her fifth fine, for complaining about how Muslims kill sheep. Free speech is a very clean, neutral concept — “Congress shall make no law …” Once a government begins policing offensiveness, things get much murkier. It has to decide which groups are protected and which aren’t — the “who/whom” of Lenin’s power relations. So, even though there are plenty of fire-breathing imams in Canada, no one ever pesters them about their hatefulness. It is the genius of Muslim grievance groups to leverage Western anti-discrimination laws to their advantage. In his Maclean’s essay, Steyn noted how in much of the West, “the early 21st century’s principal political dynamic” is whether something offends Muslims. Indeed — but in Canada, truth is no defense. 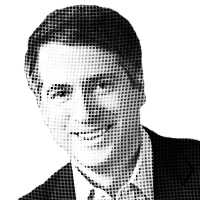 – Rich Lowry is the editor of National Review.